In a world of increasing energy intensity, Trane unleashes the potential of buildings to be more efficient and sustainable. Aging HVAC systems, leaky windows, outdated controls, older lighting fixtures, and overpriced utility tariffs waste money and valuable resources. OMNIA Partners simplifies access to Trane solutions that can make any building more comfortable for occupants, more sustainable—and easier the bottom line. Trane offers industry-leading, energy-efficient, connected indoor comfort systems—plus a world-class service organization to install and maintain them. Experienced building professionals go beyond individual HVAC components, using data to optimize system performance. And that’s only the beginning. Trane helps navigate the complexities of energy purchasing and offers turnkey capabilities that make renewable energy a practical and preferred alternative. Pre-negotiated contract pricing and a wide range of financing choices remove the monetary obstacles that previously prevented you from having the best building possible. Trane can help you assess and arrange financing options including Property Assessed Clean Energy (PACE) and Energy Service Agreements (ESA). Energy Saving Performance Contracting (ESPC) lets you tap the rewards of a better building without incurring upfront costs or long-term risk: If your energy results don’t cover the cost of upgrades as promised, Trane pays the difference. Energy impacts organizations in many ways: operational costs, capital availability, risk and resiliency, performance and sustainability. Trane Energy Services help you improve operational efficiency while lightening your environmental footprint. Energy Supply Services: providing procurement expertise in local and state utility markets to reduce costs, manage pricing volatility, reduce pressure on the power grid, and create revenue opportunities. Renewable Energy and Power Solutions: applying deep expertise in distributed energy technologies (cogeneration, photovoltaic, biomass, biogas and wind power) to lower operating costs, reduce environmental impact and gain energy independence and resiliency. Energy Contracting: delivering over $1.2 billion in guaranteed savings to organizations. Trane is an Energy Services Company (ESCO) accredited by NAESCO and certified through the Canadian Federal Buildings initiative. Learn more about Trane Energy Saving Performance Contracting for government organizations. Trane commercial HVAC systems feature world-class technology for keeping occupants comfortable, healthy and productive, using as little energy as possible. The entire portfolio Trane commercial products and services are within the scope of the OMNIA Partners contract. 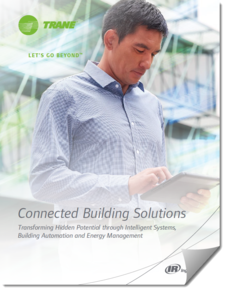 Connected Building Solutions: connecting you to the world of outcome-driven buildings. Trane provides the sensors, equipment, connective services and analytical expertise you need to collect system data and gain insight leading to better control. Trane® - Mitsubishi Electric® mini / multi split ductless solutions: bringing reliability and exceptional efficiency to both small and large commercial spaces. These powerful systems offer simpler, faster and lower-cost installation so you can improve comfort in spaces where adding ductwork is impractical. This is the short list of frequently-ordered products. Contact a member of the Trane Cooperative team if you don’t see what you need listed here. 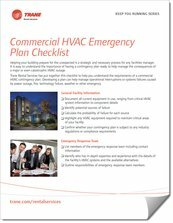 Make sure your buildings continue contributing to organizational goals year after year. Trane’s broad service offering keeps HVAC systems and controls operating efficiently and reliably throughout the building’s life cycle. All services are delivered by Trane’s own OEM factory-trained technicians. Contact a member of the Trane Cooperative Team for more information. Trane Intelligent Services: collecting and analyzing data from your buildings to improve energy efficiency and reliability. Trane Service Agreements: proactively maintaining equipment and systems to prevent downtime and inefficiencies that waste energy. 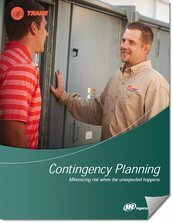 Rental Services and Contingency Planning: elevating your operational resiliency with sophisticated, young rental equipment and technically savvy rental professionals. Temporary HVAC, power and compressed air are sourced locally, so it’s all readily available when you need it. Trane, a brand of Ingersoll Rand, is on a mission to reduce the energy intensity of the world. This $14 billion global business is committed to a world of sustainable progress and enduring results. That commitment starts at home: in 2014, Ingersoll Rand announced a formal Climate Commitment to reduce greenhouse gas (GHG) emissions by 35% enterprise wide—and then surpassed this goal two years ahead of schedule. Doing so required leadership alignment, company-wide commitment and coordination across hundreds of locations worldwide. Sustainability has become an important part of the Trane culture, and the company is eager to share what they’ve learned. Today Trane is helping its customers achieve their own sustainability goals by leveraging innovative approaches and emerging technologies, including distributed energy resources and energy storage that use renewable energy more effectively. Trane leveraged a virtual power purchase agreement to replace 32% of its U.S. electricity with clean energy and now consults with customers to help them do the same. EcoWise™ products: reducing carbon footprint, products within the EcoWise™ portfolio are designed to consume less energy and use low GWP refrigerants. Intelligent Services: leveraging data from building systems to eradicate inefficiencies and waste, and continuously improve the way buildings consume energy. Renewable Energy Solutions: When developing renewable energy solutions, Trane considers many factors that can influence your best decision: use scenarios, current utility rates, local legislation and incentive programs, geography and, ultimately, making sure it integrates seamlessly with your overall energy plan. Trane has deep expertise in renewable energy procurement and a wide range of distributed energy resource (DER) technologies, including cogeneration, solar/photovoltaic, thermal and battery energy storage systems, fuel cells, geothermal heat pumps, biomass, biogas and wind power. Learn more about Trane Renewable and Power Solutions. Students learn best in high performance schools where the physical environment is comfortable, quiet, well-ventilated and well-lit. For more than 50 years, Trane has provided solutions for high performance classrooms and sustainable schools that are fiscally and environmentally responsible, and significantly improve the quality and cost-effective delivery of education. Schools that effectively manage comfort, ventilation and acoustics report higher test scores, increased average daily attendance, lower operational costs, and improved teacher satisfaction and retention. That’s why Trane offers a portfolio of products and programs that are ideal for K-12 schools. Learn more about Trane K-12 Solutions. The menagerie of big and small, old and new campus buildings creates unique challenges for managing comfort and cost efficiency. Trane sees opportunities in the challenges: Opportunities to make tuition more affordable by reducing operational costs. Opportunities to attract students with a sustainable campus. And opportunities to foster conditions that inspire educational excellence by bringing more buildings securely into the digital age. Sustainability is a student priority: Sixty-eight percent of incoming freshman factor a school’s commitment to the environment into their school selection. Trane has many ways to make your buildings greener, from using data to make smarter operational decisions to purchasing affordable renewable energy—or generating it on campus. Learn more about Trane's Higher Education Solutions. Shorten the time needed to acquire, install and start-up temporary power, HVAC or compressed air systems.